The Kingdom of Spain (Spanish: Reino de España) is a country largely located in the Iberian peninsula in southwestern Europe. The country also incorporates a three enclaves in North Africa (Ceuta, Melilla, Peñón de Alhucemas), an exclave within France (Llívia), a island archipelagoes within the Atlantic Ocean (the Canary Islands) and the Mediterranean Sea (the Balearic Islands). Spain borders Andorra, France, Gibraltar (a British overseas territory, but which Spain claims), Portugal, and through its North African exclaves, Morocco. 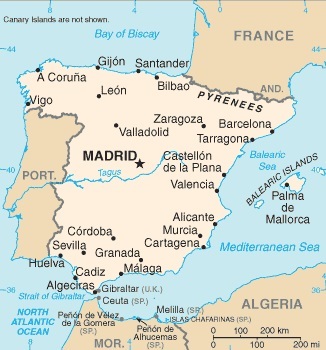 Spain has a northern coast on the Bay of Bascay, and a southern coast on the Mediterranean Sea and the North Atlantic. As of 2007, the estimated population of Spain was about 45.1 million. 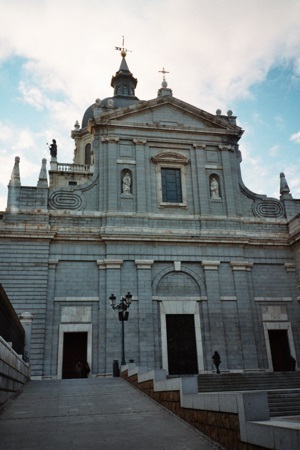 The capital and largest city of the country, Madrid, had a population of 3.2 million people in the city, and combined total population of about 5.5 million people in the combined city and metropolitan area. Other important cities in Spain include Barcelona, Bilbao, Las Palmas de Gran Canaria, Murcia, Málaga, Palma de Mallorca, Seville (Spanish: Sevilla), Valencia and Zaragoza. With superb photography, illustrations, and maps, this comprehensive travel guide will help you plan your trip to Spain. This guide will show you the best of Barcelona--such as Gaudí's Sagrada Família and Park Güell--to the spectacular castles of Castile, the golden beaches of Costa Blanca and the stunning natural landscape of the Basque Country. Learn about Spain's beautiful national parks, its iconic fiestas, and the art of flamenco. There are also practical tips, transportation information, and hotel and restaurant recommendations to help you plan the perfect trip. With hundreds of full-color photographs, hand-drawn illustrations, and custom maps that illuminate every page, DK Eyewitness Travel Guide: Spain truly shows you this city as no one else can. Hit Spain's can't-miss art, sights, and bites in two weeks or less with Rick Steves Best of Spain! Experience Spain's Old World romance and New World excitement for yourself with Rick Steves Best of Spain! Written by locals, Fodor’s Essential Spain 2019 is the perfect guidebook for those looking for insider tips to make the most out their visit to Madrid, Barcelona, and beyond. Complete with detailed maps and concise descriptions, this Spain travel guide will help you plan your trip with ease. Join Fodor’s in exploring one of the most exciting countries in Europe. •UP-TO-DATE COVERAGE: Updated every year, this edition of Fodor's Essential Spain offers fully updated coverage of cities, neighborhoods, must-see attractions, hotels, restaurants, nightlife, shopping, beaches, and more. Fodor’s writers have scoured the country to showcase the best new hotels and restaurants at different price points and categories. •ULTIMATE EXPERIENCES GUIDE: A spectacular color photo guide captures the ultimate unmissable experiences and attractions throughout Spain to inspire you. •PULLOUT MAP AND DETAILED MAPS: A handy PULLOUT map of Spain will help you navigate on the go. Full-color and full-size street maps throughout will help you plan efficiently and get around confidently. •GORGEOUS PHOTOS AND ILLUSTRATED FEATURES: Full-color photos will help inspire you. Stunning, full-color illustrated features illuminate Spain's highlights: Gaudi's architecture, Spanish tapas, flamenco, the Alhambra, Basque culture, El Camino de Santiago, the Museo del Prado, and Spain’s historic hotels. Food spotlights will introduce you to must-try dishes in each region and beach spotlights help you choose the best beaches. •ITINERARIES AND TOP RECOMMENDATIONS: Multiple sample itineraries will help you plan and make the most of your time. Includes tips on where to eat, stay, and shop as well as information about nightlife, sports and the outdoors. “Fodor’s Choice” designates our best picks in every category. •INDISPENSABLE TRIP PLANNING TOOLS: Our recommendations for Top Museums, Architecture, Beaches, and Hiking, along with FAQs make planning simple. Convenient overviews present each region and its highlights, and chapter planning sections have savvy advice for making the most of your time and getting around by car, bus, and train. A convenient Travel Times by Train map helps you plan trips within Spain. •COVERS: Madrid, Barcelona, Catalonia, Andalusia, Valencia, Bilbao, La Rioja wine country, the Basque Country, San Sebastian, Seville, Granada, Santiago de Compostela, Cordoba, Toledo, the Pyrenees, Ibiza, and more. Planning on visiting other destinations in Europe? Check out Fodor’s Essential Italy and Fodor's Essential France. Walk the Camino de Santiago, run with the bulls in Pamplona, or relax on Barcelona's beaches: with Rick Steves on your side, Spain can be yours! Discover Spain with the most incisive and entertaining guidebook on the market. Whether you plan on exploring Andalucia's White Towns, sampling the legendary nightlife of Madrid or hiking in the Picos de Euuropa, this new edition of The Rough Guide to Spain will show you the ideal places to sleep, eat, drink, shop and visit along the way. - Independent, trusted reviews written with Rough Guides' trademark blend of humour, honesty and insight, to help you get the most out of your visit. - Full-colour maps throughout - navigate the backstreets of Barcelona or Granada's Albaicín without needing to get online. - Stunning, inspirational images - a rich collection of inspiring colour photography. 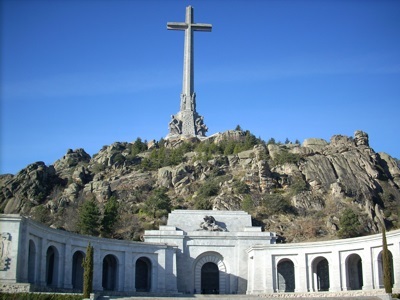 - Things not to miss - Rough Guides' rundown of Spain's best sights and experiences. - Detailed city coverage - whether visiting the big sights or venturing off the tourist trail, this travel guide has in-depth practical advice for every step of the way. Areas covered include: Madrid, Segovia, Toledo, Castilla-La Mancha, Extremadura, Andalucía, Castilla y León, La Rioja, the País Vasco, Navarra, Cantabria, Asturias, Galicia, Aragón, Barcelona, Catalunya, Valencia, Murcia, and the Balearics. Attractions include: Museo del Prado, Reina Sofía, El Escorial, Mérida, the Alhambra, La Mezquita, Parque Nacional Coto de Doñana, Univeridad de Salamanca, Burgos Cathedral, Museo Guggenheim, Santiago de Compostela's cathedral,Sagrada Família, Fundació Joan Miró, Teatre-Museu Dalí, La Ciudad de las Artes y Ciencias, and the Palma Cathedral. - Background information - a Contexts chapter devoted to history, wildlife flamenco and books and with a handy language section covering Castilian (Spanish), Catalan, Basque and Galician. Spain remains one of the world's most popular tourist destinations for its cutting-edge cuisine and superior wine, festivals like the running of the bulls in Pamplona, world-class museums like the Museo del Prado, amazing architecture, and more. In stunning full-color, Fodor's Essential Spain puts the best the country has to offer at your fingertips. Planning to focus on Barcelona? Check out Fodor's travel guide to Barcelona. With superb photography, illustrations, and maps, this easy-to-use travel guide leads you to the best things in Seville and Andalucía. From beautiful palaces such as Seville's Real Alcázar and the magical Alhambra in Granada, splendid religious edifices such as the Mezquita in Córdoba, Seville Cathedral and La Giralda, to the historic coastal cities of Málaga and Cádiz, DK Eyewitness Travel Guide: Seville & Andalucía will show you all of the top sights in this especially colorful part of Spain. Learn about Hispano-Moorish architecture, flamenco, the art of azulejos, and sherry-making. There are also practical tips for where to find the best beaches, getting around, and reviews of the best places to shop, stay, and eat. With hundreds of full-color photographs, hand-drawn illustrations, and custom maps that illuminate every page, DK Eyewitness Travel Guide: Seville & Andalucía truly shows you this city as no one else can.